Before I lose all my geek cred, I want to reasure you; I love computers. Up till a few years ago, I could tear them down to the wires, and rebuild them one jumper setting at a time. In the last few years, computers have become sealed boxes that require specialized tools and an engineering degree to master. These days, I'm lucky to be able to swap out the RAM, traditionally, the most basic hardware manipulation one could do with a computer. My apathy over the Mac Pro is not just a matter of complexity. The greater truth is that it is a machine so far above my needs, I have neither the skills or resources to use it for a fraction of what it's worth. Talking to me about the new Mac Pro is about as meaningful as talking to me about the latest supercomputer. It is not a consumer product that remotely touches any consumer interest. The Mac Pro was not made for running Facebook, browsing the web, checking email, making a music demo, editing a home movie, touching up photos, or playing games. It does absolutely nothing for writers, of which I am one. Though it is capable of all those things, its destiny is much greater. If your computing tasks are described in the above list, an iMac is more than enough kit for you. A Mac mini would probably do the trick just fine. So who does need a Mac Pro? For starters, those who work with 4K assets. Do you fully understand what 4k is, along with all its ramifications? No? Then you are probably not a candidate for the new Mac Pro. If, however, 4K figures into your workflow, you might want to take a closer look. Would shaving off 3 hrs. per project net you enough savings to buy a Mac Pro? If not, it is probably not for you. Does missing a tight, production deadline mean the difference in you eating steak or bologna? Those are the people for whom the Mac Pro was intended. When it comes right down to it, everyone else is kind of a poser. Back in the day, a lot of us fancied ourselves as power users. Here's a splash of cold water: your torrented copy of Photoshop does not make you a power user. Get over yourself! A lot of people buy the most powerful system they can get their hands on because it makes them feel like they are something special. That is a little like buying a Ferrari for a 20 minute commute to work. Way to go big man. You're somebody, now. Buying a new Mac Pro when you don't need it will not make your life any better. It will not make your day to day computing tasks any faster. You will simply never do the types of things where the speed increase will be appreciated. As much as I do with a computer, even I wouldn't be able to get a Mac Pro to break a sweat. It is not a consumer product. Even if your bank account says, yes, your common sense should say, no. This is why I have not been blogging about the new Mac Pro. 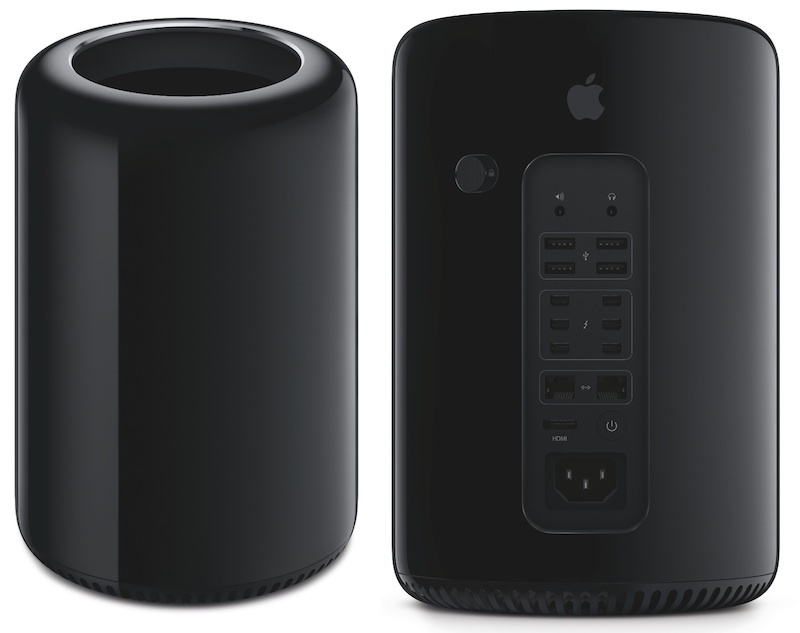 If you don't already know about the Mac Pro, and haven't already ordered one, you probably don't need one. And I don't want to be the one to insight you to that particular madness.